The nursing staff and Administrator at every Illinois nursing home has a legal responsibility to report and investigate every allegation of abuse, whether witnessed or not. Any failure to do so violates federal and state nursing home regulations. Unfortunately, many facilities failed to follow protocols, which often places the health and well-being of every resident in immediate jeopardy. Rosenfeld Injury Lawyers LLC represent victims of abuse while residing in an Illinois nursing facilities including Alhambra Care Center. In addition to providing around-the-clock skilled nursing care, the facility also offers speech/language pathology, occupational therapy, and physical therapy. Comprehensive research results can be obtained through the federal government/Illinois Medicare.gov nursing home database that details every safety concern, health violation, filed complaint and opened investigation. Many families often use this information to determine the level of medical, health and hygiene care facilities provide their residents in their community. In a summary statement of deficiencies dated 10/22/2015, a notation was made by a state surveyor during an annual licensure and certification survey involving the facility's failure to "investigate allegations of abuse and injuries of unknown origin; and [a failure to] report abuse allegations to the Administrator.” The deficient practice of the nursing staff and Administrator at Alhambra Care Center affected two residents at the facility. The failure was first noted at 11:17 AM on 07/18/2015 where the facility process Nursing Notes that a resident “in the TV area on C-Hall [was] getting in close proximity with female resident’s faces and yelling/and cursing at them.” Subsequent Nurses Notes at 1:17 PM on 08/05/2015 documents that the same resident was “aggressive after lunch. Very verbal to staff and other residents. Walked up to a female resident in a wheelchair and attempted to hit her with a closed fist in the back of her head.” The investigator noted that the Nurses Notes “did not identify the female [resident] hit” by the aggressive resident. The Administrator stated during an interview that “she didn’t remember any incidences with [that resident and stated] it’s possible it was not reported to me.” The Administrator “further stated there was no investigation for an incident with [that resident and the Administrator] could not identify the other resident involved. 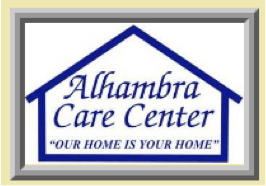 If your loved one was the victim of abuse, mistreatment or neglect while a patient at Alhambra Care Center, contact the Rosenfeld Injury Lawyers LLC law firm now. Our dedicated nursing home attorneys can ensure that your loved one’s rights and well-being are protected. We urge you to contact our McHenry County elder abuse law office at 888 424-5757. Schedule your appointment today to speak with one of our experienced lawyers for your free full case review. No upfront fees are necessary.